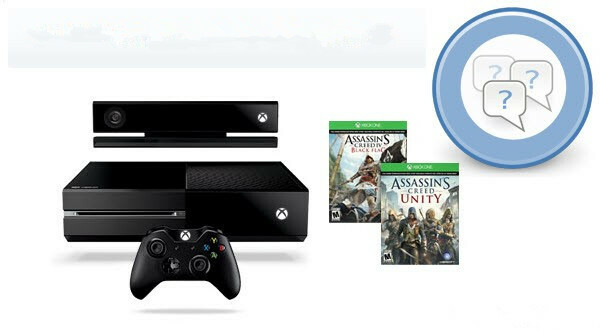 Xbox One, launched in May 2013, is the third generation of video game console from Microsoft. As it's equipped with AMD Octa-core CPU with Jaguarx64 architecture and AMD 12 units 768 core GCN architecture GPU, it absolutely guarantees you a span-new pleasant games and video-appreciating experience. Surely, it will bring users fantastic visual experience when playing MP4/MKV on it. If you wanna play MKV, M2TS, etc videos on Xbox One, you can use Any Video Converter Ultimate, one of the best Xbox One Video Converter, to convert the files into Xbox One firstly. Step 1: Add the videos you wanna convert to Xbox One. 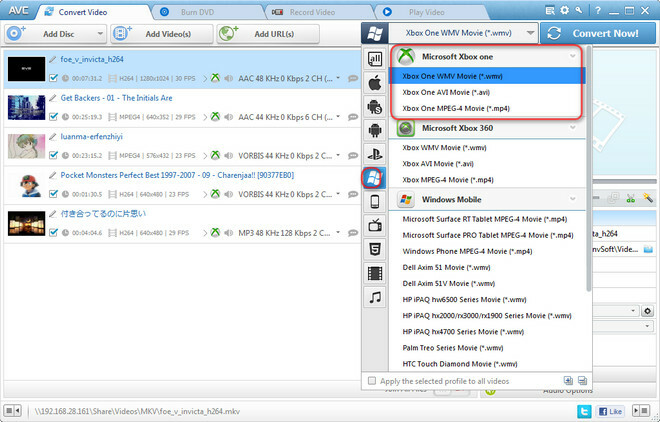 Simply click “Add Videos” or “Add or Drag Files” to add the movies you need. Step 2: Choose the output format for your Xbox One. Click “Output Profile” and move to Microsoft Products icon. Select Xbox One WMV Movie (*.wmv) or Xbox One AVI Movie (*.avi) or Xbox One MPEG-4 Movie (*.mp4) as output format. Step 3: Start converting videos. Just hit “Convert Now” button to start converting MKV, M2TS, etc videos to Xbox One. Just free download this video converter and convert videos to your Xbox One!